The case concerns a Tunisian national, who has since become a Swiss citizen, who was tortured for more than a month by the Tunisian authorities. 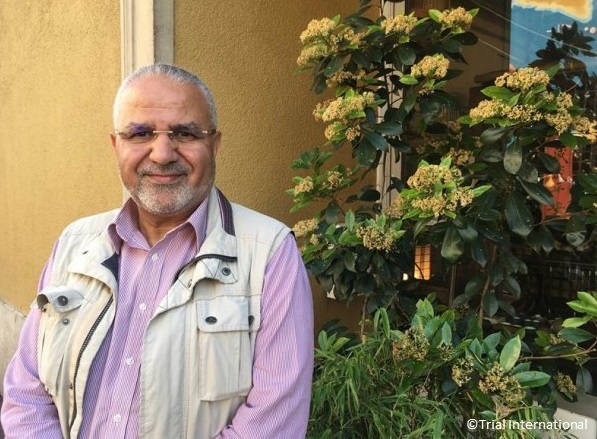 Unable to obtain justice in Tunisia, he initiated a lawsuit to get redress in Switzerland against the former Tunisian Minister of Domestic Affairs with the help of TRIAL International. Following the refusal of the Swiss courts to examine his claim, Trial International took his case to the European Court of Human Rights. In April 1992, while living in Italy, Abdennacer Naït-Liman, a Tunisian national, was arrested and handed over to the Tunisian authorities. For 40 days he was arbitrarily detained and tortured in the Ministry of Interior building in Tunis. He later fled to Switzerland where he was granted refugee status in 1995 and eventually become a Swiss citizen. In 2001 Abdennacer learned that Tunisia’s former Minister of Interior, who he alleged was responsible for the torture, was hospitalised in Geneva. He filed a criminal complaint against the former minister, but the former minister was not apprehended before he left Swiss territory. Abdennacer later brought a civil claim for damages in Switzerland against the former minister and the State of Tunisia, however the Swiss Federal Court (on appeal) found that it did not have jurisdiction to hear the claim because the alleged torture occurred in Tunisia. Following the refusal of the Swiss courts to examine his claim, Abdennacer filed an application with the European Court of Human Rights alleging that Switzerland had violated his right of access to a court under Article 6 of the European Convention (right to a fair trial). REDRESS, together with the World Organisation Against Torture (OMCT), was granted leave to intervene in the proceedings and submitted written comments to the Court addressing States’ obligations to provide an applicant with access to a court for allegations of torture committed abroad where there is no other reasonable means of redress and the question of immunity of a former official. On 21 June 2016, the Chamber of the European Court of Human Rights held, by a 4-3 majority, that there had not been a violation of the European Convention on Human Rights. On 28 November 2016, the case was referred to the Grand Chamber. On 23 February 2017, REDRESS and OMCT submitted additional observations to the Grand Chamber focusing on the role of the forum of necessity jurisdiction and universal jurisdiction to provide victims of torture access to justice where there is no alternative forum. On 15 March 2018 the Court’s Grand Chamber ruled that Swiss civil courts did not violate Naït-Liman’s rights by refusing to examine his claim for damages. The verdict confirms the earlier 2016 European Court of Human Rights Chamber’s judgment in this case. Date Filed: 15 September 2011 (REDRESS and OMCT’s first intervention). Current Status: On 15 March 2018 the ECtHR’s Grand Chamber ruled that Swiss civil courts did not violate Naït-Liman’s rights.